These are useful and the majority of common tasks exist. Have you however thought that you want to tweak an option or even create your own option? Well you can, below is an example that will call a workflow that powers off the select VM and then deletes it (to delete a VM in VMware it must first be powered off). Combining these steps can speed things up for certain types of users. 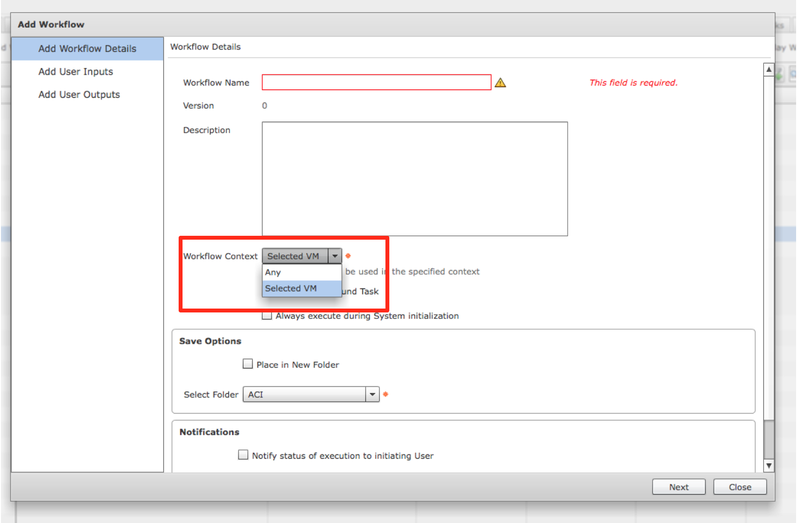 You don’t need to have any ‘Workflow Properties’ defined. 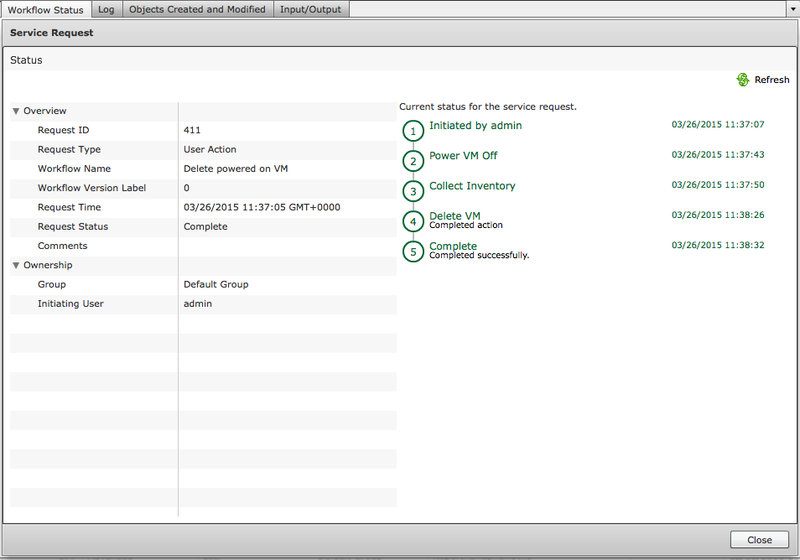 You can then create the ‘button’ via the ‘Policies>Orchestration>User VM Action Policy’. 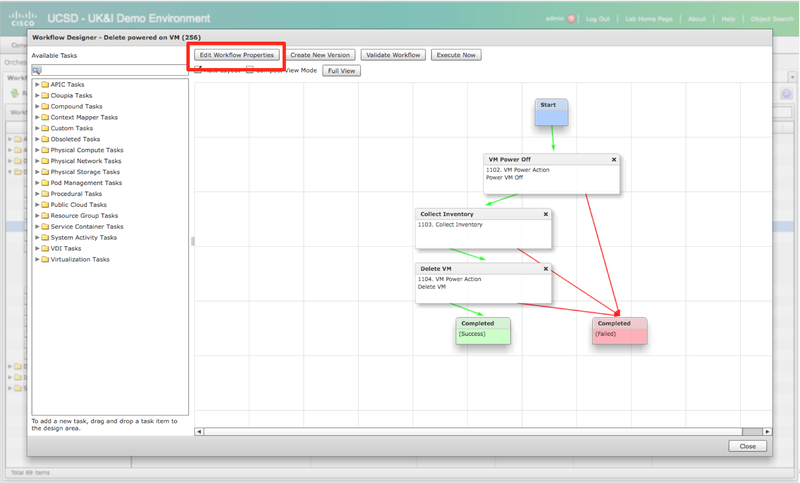 This allows you to define 1 or more sets of action buttons in a policy that can then be applied to a VDC. 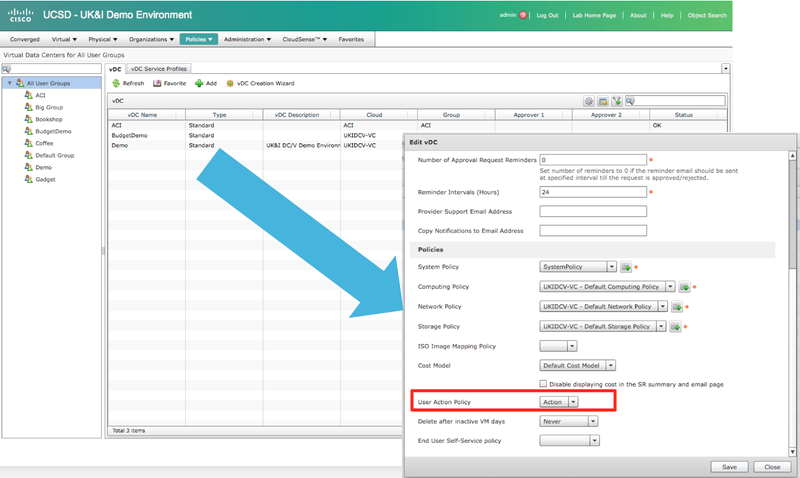 Once you have created the policy assign it to the VDC(s) in question as the ‘User Action Policy’ drop down.